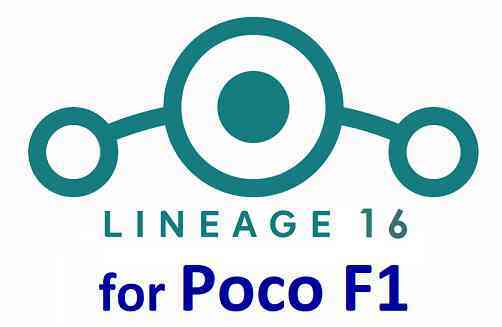 You can now download and install LineageOS 16 for Poco F1. Here is how to install LineageOS 16 on Poco F1, with a step-by-step guide. This LineageOS 16 build is brought to you by developer abhishek987. THIS IS AN INITIAL BUILD OF LineageOS 16 FOR Poco F1, WHICH MAY HAVE MANY BUGS. MAKE SURE TO BACKUP ALL DATA OF YOUR PHONE. Installing a custom ROM may require an unlock bootloader on Poco F1, which may VOID your warranty and may delete all your data. Before proceeding further you may consider backup all data on the phone. Download and Copy the Poco F1 LineageOS 16 ROM and GApps ZIP file to your phone. Boot into the TWRP custom Recovery to install this LineageOS 16 on Poco F1. Reboot and Enjoy the Android 9 Pie LineageOS 16 on Poco F1. Install the LineageOS 16 for Poco F1. If you don’t have GApps after upgrading the LineageOS 16 on Poco F1, then flash the GApps. If you don’t have ROOT after upgrading the LineageOS 16 on Poco F1, then flash the SuperSU or Magisk or the Lineage SU binary. Once everything is done, reboot and Enjoy the LineageOS 16 on Poco F1. Complete the initial setup and enjoy Android 9 Pie with LineageOS 16 on Poco F1. Stay tuned or Subscribe to the Poco F1 (beryllium) LineageOS forum For other Android Pie, Android Oreo ROMs, Nougat ROMs, or other ROMs and all other device specific topics. What can I do? 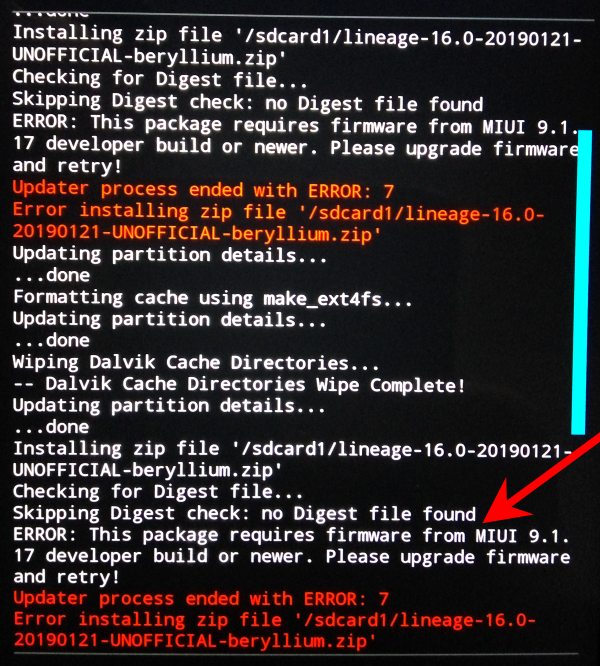 I updated to latest Xiaomi ROM (beryllium_global_images_V10.2.2.0.PEJMIXM_20190110.0000.00_9.0_global_da212305c9.tgz), then tried again. No success.